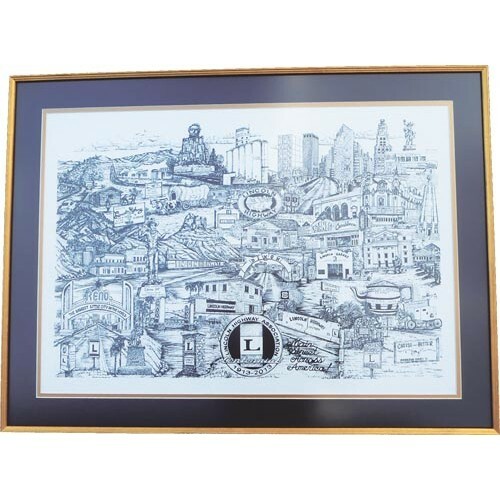 This beautiful drawing features the Centennial logo and caricatures of famous Lincoln Highway landmarks from coast to coast. 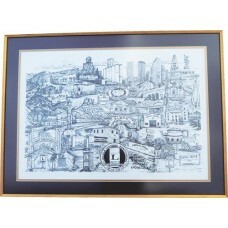 Professionally lithographed on faux canvas, these prints are limited to a run of only 250 copies. Print size: 25" x 18"